Your website is the online office front or shop window for your business. A well designed website that’s easy to use, clearly explains who you are and what you do whilst promoting a professional image is crucial. Lifeboat Marketing’s web design services are tailored to individual client needs, depending on the type of site, budget & elements which are requested. We ensure your project is handled efficiently and effectively whilst maintaining high quality as standard. A well designed website helps people find information about you quickly and easily. Careful planning is essential; Web design covers not just the look and feel of a website, but also its overall structure. Working to balance the elements can be challenging but if you have a well-designed website which also ranks well, you can improve both traffic and conversions. Lifeboat Marketing advise on all aspects of designing a website; from website templates and custom bespoke web design to information architecture, website navigation and maintenance. The websites Lifeboat Marketing develop are not only beautifully designed and of the highest quality and are fully responsive in all devices. With all hands on deck we’ll create a design tailored to your specific requirements. You’ll have your own company web address, legal GDPR pages, an enquiry form, site map and website analytics so you can track your visitors. In addition Search Engine Optimisation (SEO) will be completed on each web page to enable more customers to find your website. Social network links can also be added to your website (should you have any!). Already have a website but find that it is not working for you? Learn how Lifeboat Marketing can benefit you and your business. Lifeboat Marketing’s Web hosting service OnboardHOSTING is a complete hosting package that gives a business everything it needs to host a website and emails. Our network infrastructure uses only the highest quality, tested, branded hardware, to provide the fastest, most secure and most reliable systems available. Add the best possible backbone connection to the Internet and you can be certain of a high speed contention-free service without bottlenecks or throttling. 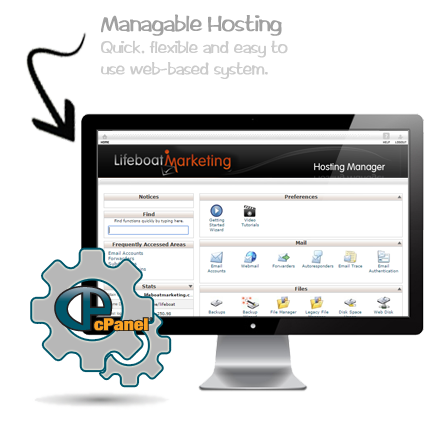 Comprehensive & Easy to Use cPanel control panel. POP3/IMAP email with Web mail interface. Email spam filtering & virus scanning. Web logging with graphical interface and stats. 99.9% network up-time guarantee and 24/7/365 monitoring. Managed backups and RAID resilience. 3hrs managed support plus 24/7 emergency cover. No Contract – Cancel Anytime! 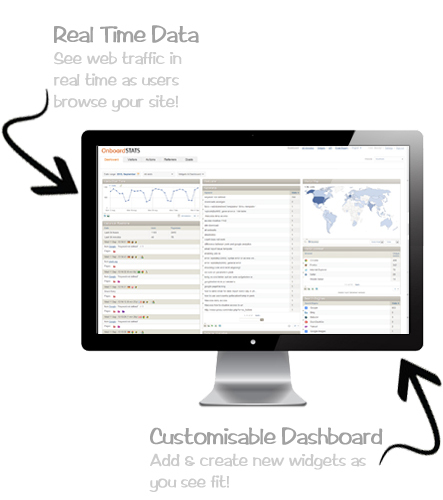 Optimise your online business with our comprehensive real-time traffic statistics. Learn more about where your visitors come from and how they interact with your site. You’ll get the information you need to write better ads, strengthen your marketing initiatives, and create higher converting websites. The statistics pack comes as standard with all our packages. Our website analytics solution OnboardStats gives you an insight into your website’s visitors, how people interact with your website and applications, your marketing campaigns plus much more,you can then optimise your business strategy and the online experience of your visitors. OnboardStats has all the standard reports you would expect from a state of the art analytics package: Top keywords, search engine and website referrers, real time reports, campaign tracking and much more. Each user can customise the dashboard according to your individual needs, and can track as many websites as needed. View your detailed Visitors activity in Real Time. Even if your website(s) generate millions of pages per month, OnboardStats can work for you. Powerful analytic dashboards featuring: Ecommerce Reporting, Goal & Campaign Tracking, Custom Variables, Email Reports, and more! View your data in any way you like with easy customised & dragable widgets. Plus there are plenty of plugins you can experiment with! Your data in your hands: Complete control. OnboardStats also keeps your data safe and ensures better Privacy for your visitors. OnboardStats has flexible automated reports via email. Choose the metrics you want to share, available in either PDF or HTML formats. It’s your data, so get it how you want it. You can export your data into a file format of your choice: Excel, XML, Json, PHP and more! Search engine optimisation is vital for a visible presence on the World Wide Web. A strong ongoing SEO campaign will heighten your brand’s visibility and generate great ROI. 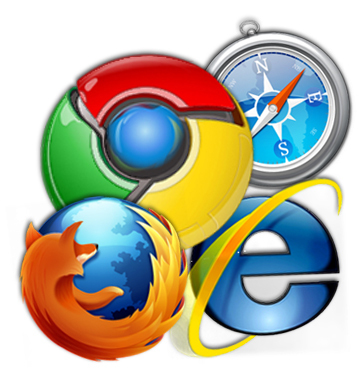 Over 90% of internet surfers rely on search engines to find websites. Your rankings will increase… guaranteed, SEO is not an option… it’s essential. With over 30 billion web pages and rising fast, where are yours? Lifeboat Marketing’s 100% ethical and transparent approach to using natural Search Engine Optimisation to achieve the best possible coverage for your website, will ensure increased organic rankings on the major search engines like Google, MSN and Yahoo! 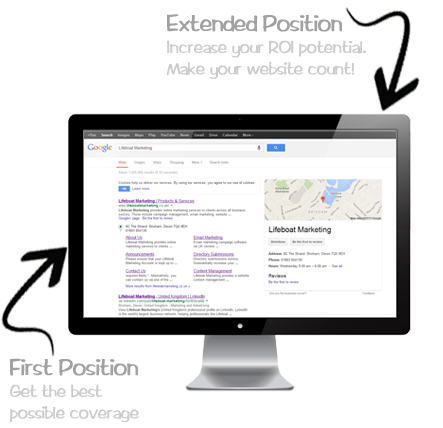 The great news for you is that the benefits of SEO far outweigh the upfront effort and reduce your marketing costs. To achieve a successful Search Engine Optimisation strategy, you need to take into consideration that search engines look at content and the structure of the markup. They emphasise the importance of text content, page titles, keywords rich text, meta descriptions and information architecture. Websites never sleep. They are there to attend to your prospective and existing customers at all times. People interested in dealing with you cannot only get in touch with you through this platform but read more about your company, view customer testimonials, & even peruse through your galleries or videos before making the right decision to call. Websites keep you connected with clients across the globe, around the clock. However, out of date content and broken links will soon annoy your visitors. To make sure your website is kept up to date you need a website editing system which allows you to keep your website up to date, one that you can edit easily in your browser, from any computer with an internet connection, wherever you are in the World. Lifeboat Marketing offers a complete website content management system, we refer to it as OnboardCMS. Currently all new websites are built on WordPress and Flatsome (UXBuilder) Themes, which offers a complete website management solution through a point & click interface. Not only can you update every word on all your web pages, you have the ability to move and change every aspect of the website design through an easy to use point ‘n’ click, drag ‘n’ drop control. 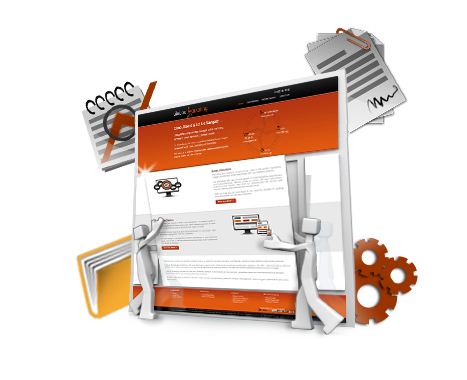 Furthermore; each web page can have a different layout or design associated to it, this gives you complete flexibility. OnboardCMS allows you to take complete control of the running of your website. OnboardCMS produces highly compatible responsive websites, with cutting-edge technologies that make the final website friendly to PC’s, Macs, tablets & mobile phones across all the major web browsers. Pricing Terms: 3 week turnaround plus content and images must be supplied. Payment Terms: Full payment required before project commences, unless otherwise agreed. ¹Access to create unlimited web pages after completion. ²Within allotted turnaround time. ³Please choose from our Onboard Hosting packages below. 4Unlimited products after completion. If you have alternative requirements then please contact us. Add your required package based on your needs. You can upgrade at any time. Add your required package based on your needs. You can add these anytime. *Within allocated time. **Several options available from daily, weekly, monthly & yearly. If however you don’t have the time or resources, then Lifeboat Marketing can complete your project, manage your website and make timely updates as and when required. We’re always here to give you a helping hand & keep you on course. So whether you’re business is just starting out or you’re ready to take your existing website to the next level, our pricing scheme makes things really simple. We offer an affordable managed website service with tailored support to match your exact requirements and budget. 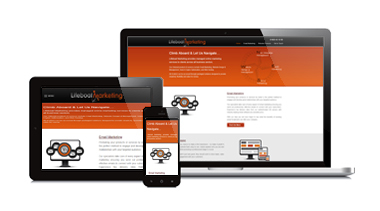 Maximise your website & increase your results with Lifeboat Marketing’s Managed Website Services.